The infamous Captain Corto Maltese finally comes to the English audience; created in 1967 by Italian comic book artist Hugo Pratt, Corto Maltese has enjoyed fame throughout Europe for decades. Hugo Pratt's stories of the sailor have been translated to various languages and now English. 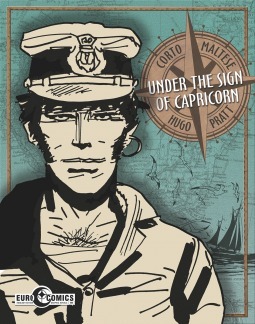 In this book we see Corto Maltese adventures in the Caribbean and South America as he searches for treasure; meets new friends and some old ones. The entire book is in black and white and is a composite of various short adventures for this Captain. Overall, I say the book was really good and I can understand why Pratt's maritime stories have remained popular into this day and age. They have the ocean, Pirates, treasure, and voodoo; who wouldn't be captivated by such stories?